October is celebrated as Filipino American History Month across the U.S. because the earliest documented Filipino presence in the U.S. was on October 18, 1587 in Morro Bay, California. It was the late Dr. Fred Cordova and his wife, Dr. Dorothy Laigo Cordova, founder of the Filipino American National Historical Society (FAHNS), a community-based organization whose mission is “to promote understanding, education, enlightenment, appreciation, and enrichment through the identification, gathering, preservation, and dissemination of the history and culture of Filipino Americans in the United States,” who first introduced October as Filipino American History Month back in 1992. In 2009, the United States Congress had passed subsequent resolutions recognizing October as Filipino American History Month, urging people across the U.S. to celebrate the significant contributions of Filipino Americans to the enrichment of the country. TFC takes part in four celebratory events during the meaningful month of October. On Oct. 6, Saturday, the City of Carson will have the kick-off ceremonies for their 9th Annual Filipino American History Month festivities. The day starts at 8:00 am by the Dr. Jose P. Rizal Monument outside the Carson Community Center on 801 E. Carson St. in Carson, California. This will be followed by a wreath-laying ceremony, and a program that highlights their leadership awards in three categories: Community Leadership, Youth Achievement, and Heroism. Headliners for the program are singers Fe de los Reyes and Miguel Vera. 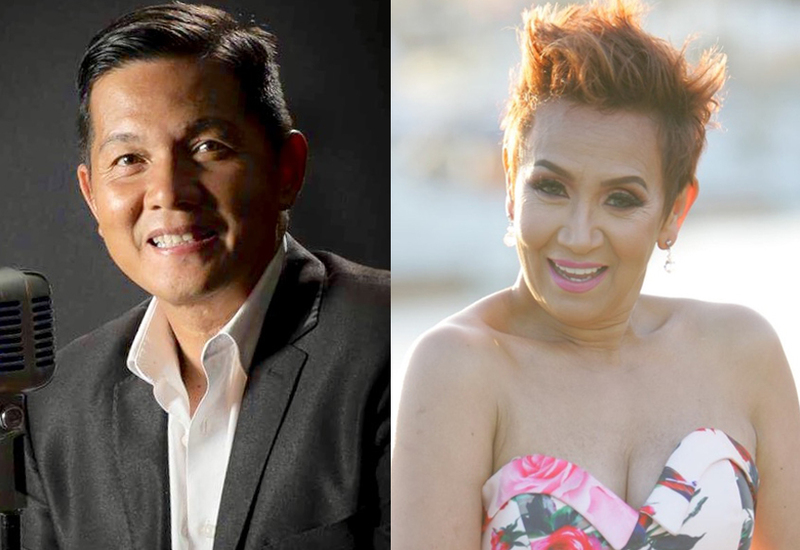 Other performers are the CSU Long Beach Filipino American Coalition, Shane Selloria, Jason Farol, Kindreds of Carson, and former “Fil-Ams Got Talent” champions Charishma Marquez, Shekinah Austria, and Therese Masangcay. Keynote speaker is Asian Pacific Studies Professor Dr. Mary Talusan-Lacanlale. Consul General Adelio Angelito Cruz and Councilmember Elito Santarina will also grace the kick-off. Daly City celebrates Filipino-American History Month via Kasayahan sa Daly City at the Marchbank Park from 11:00 A.M. to 4:00 P.M. There will be food trucks, a family fun zone, arts and crafts, a jump house, a beer garden, several vendor booths, a bubble machine, and entertainment from homegrown talent. Parking is free at the DC Station Garage on 2001 Junipero Serra Boulevard, and Marchbank Park is accessible on the second floor. This is a free event, and everyone is invited. Entertainment throughout the day will be provided by Melvinsings! Maddie B, Kariktan Dance Company, American Center of Philippine Arts, Rudy Kalma, Mike Dayao, Guji, and more. Headliners to perform at the TFC Hour are “Queen of Freestyle” Jocelyn Enriquez and rapper and spoken word artist Ruby Ibarra. For more information about this event, call 650-991-8001 or go to their Facebook events page here. “12 Million” – a glimpse into the Filipino diaspora through story and song, will be shown in Los Angeles and in the Bay Area on October 20 and 27, respectively. Through artistic expressions of music and drama, the show will offer a glimpse into the real-life experiences of Filipinos from across the globe. “12 Million” will be shown in at the Aratani Theater at Little Tokyo on 244 San Pedro St., Los Angeles, CA on October 20, and at the Terra Nova Theater on 1450 Terra Nova Blvd., Pacifica, CA on October 27, 2018. For tickets and other inquiries, visit www.anglahiexploits.com. On October 27, the 9th Annual Larry Itliong Day Celebration will be held at the Veterans Park, 22400 Moneta Avenue, also in Carson, California. The event is from 8:00 A.M. until 12:00 P.M. with the 2018 Larry Itliong Labor Awards as highlight of the day. Speakers for the day are: Johnny Itliong, director of the Larry Itliong Foundation through Education, and son of labor leader Larry Itliong; Fernando Chavez, founder of the Chavez Law Group and son of union leader and labor organizer Cesar Chavez; and Historian Roger Gadiano, who is also a member of the Filipino American National Historical Society (FANHS) – Delano chapter. Silakbo sa Mik Tinig, a local group who performs socially relevant raps about immigration, women, and demilitarization will be performing on that day. An expression of culture and the recognition of Filipino American contributions take centerstage in these various celebrations of Filipino American History Month this October. Click here for more information on the Daly City Filipino American History Month celebration. To learn more about the City of Carson’s Kick-Off and Larry Itliong Day Celebration, call 310-952-1743 or go here. And click here for more information about "12 Million."